You probably have your favorite book that you read with your kids. That one book that you really look forward to reading and so do they. Any time I can find a book that helps my kids make connections with nature, I jump on the chance to read it. If it ends up being one that we all enjoy, we will read the book again and again! My favorite book to read with my kids is Tap the Magic Tree. It is an amazing, interactive, picture book that takes you through the seasons of a tree. Your kids use their hands to “shake” the tree (to make the apples “fall” from the tree), and as the book carries on through the seasons, your kids can tap the magic tree, count buds on the branches and much more. With each page turn, the tree has changed again. It is such a great book to add to your collection. This post is part of the Nature Book Club. Scroll down for more buds and branches books and activities, as well as a giveaway!! 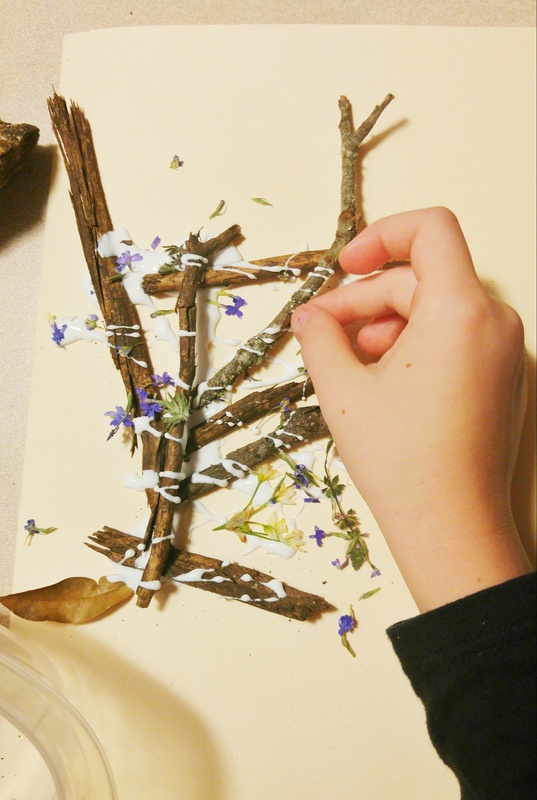 After brainstorming how to recreate the “magic” tree in the book, my daughter decided that she would use sticks and flowers to represent the buds and flowers in the book. Since we unschool, I make suggestions, but my daughter takes the lead for our activities. I am there to support her with resources, when needed. 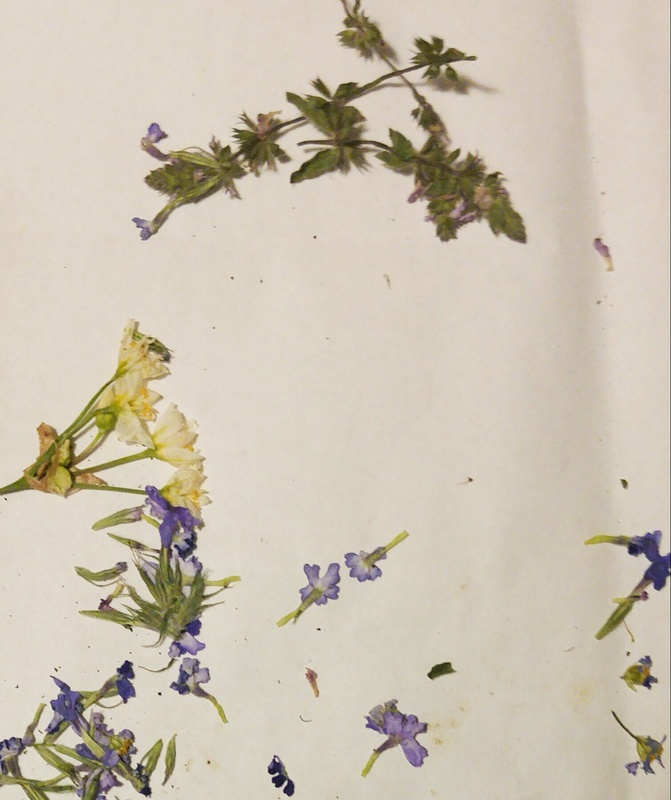 Before she could start her creation, she had to collect her materials and then flatten and dry her flowers. Once her flowers were flattened and dried out a little bit (it was tough to wait so long! ), she got to work. We used a manila folder since it was sturdy. 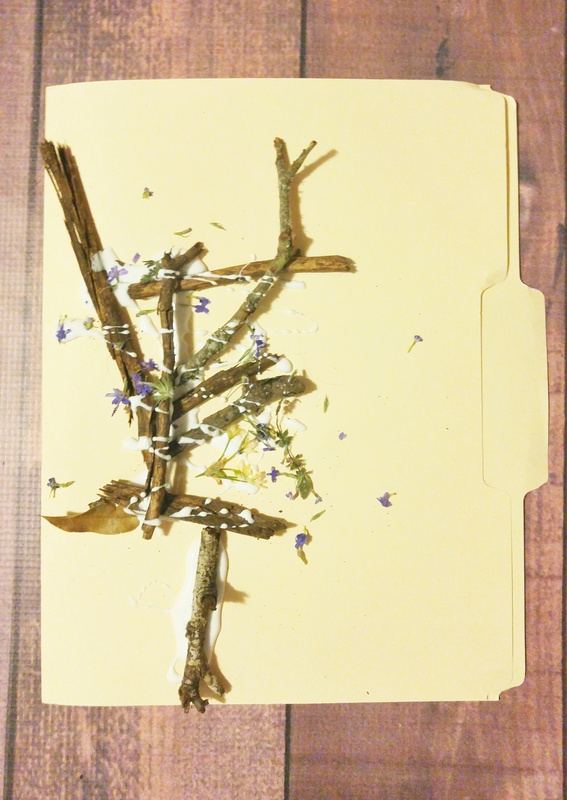 We also chose the folder because it will house her future drawings of trees in different seasons. To get started, the twigs were glued down first. We used Elmer’s Glue All, mainly because I didn’t feel like dragging out the glue gun. So far, it’s holding up the tree! 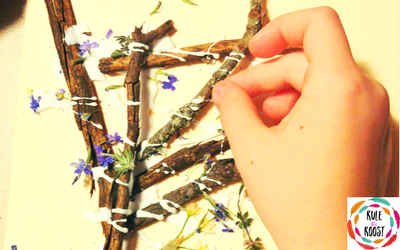 After the twigs were glued down, my daughter drizzled glue over the branches of the tree and then sprinkled the flowers over top. She explained that this was so some of the flowers fall off, like in the book. Makes sense! 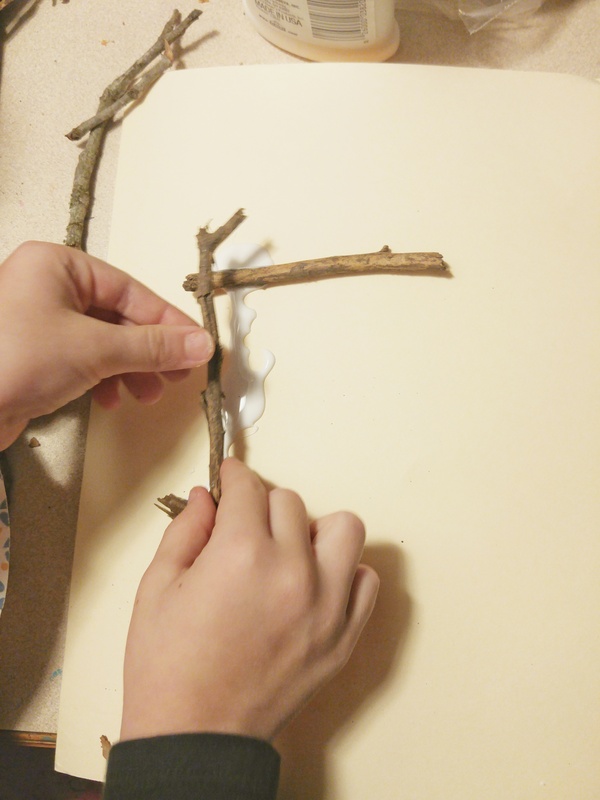 For as easy (and free) as this tree exploration activity was, I was so impressed with how it turned out! It is a beautiful work of art that so perfectly fits our nature book this month. If you haven’t ever read Tap the Magic Tree, you can grab it here on Amazon. You and your kids will LOVE it! I promise! Welcome To The Nature Book Club Monthly Link Up Number 3! The Nature Book Club is brought to you by these 3 nature-loving bloggers who are your co-hosts!